When it costs more to smoke, fewer babies die, according to a new study that links rising cigarette taxes with declines in infant mortality, especially among blacks. With nearly 4 million annual births nationwide, the results suggest that a $1 increase in cigarette taxes would result in 750 fewer infant deaths each year, the researchers said. Smoking during pregnancy can lead to complications including sometimes dangerous premature births and sudden infant death syndrome. 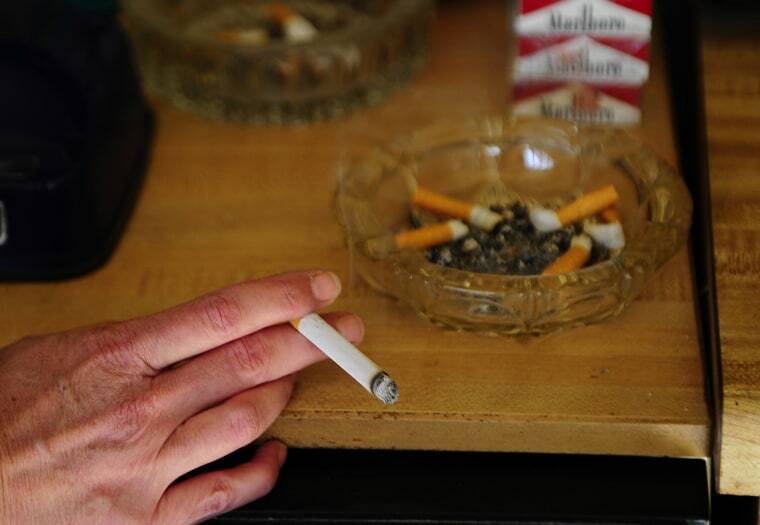 U.S. smoking rates declined during years examined in the study — 1999 to 2010. The research, paid for by the National Institutes of Health, was published online Tuesday in the journal Pediatrics. Cigarettes are subject to state and federal excise taxes. Dr. Stephen Patrick of Vanderbilt University and colleagues examined data on changes in those taxes and cigarette prices from every state over 11 years. They also analyzed federal data on infant mortality in each state. Taxes per cigarette pack increased from 84 cents to $2.37 on average, adjusted for inflation. Infant mortality per 1,000 births decreased from about 7 deaths to 6 deaths on average. Among blacks, deaths declined from about 14 to 11 per 1,000 births. The researchers considered factors other than smoking that influence infant mortality, including family income and education, but still found a link with rising taxes. Almost 11 percent of U.S. women smoke during pregnancy, federal data show. Previous studies have linked higher cigarette taxes with declines in smoking during pregnancy and with better newborn health. The researchers say their work is the first examining these taxes and U.S. infant mortality rates. Raising tobacco taxes is among strategies the Centers for Disease Control and Prevention supports to reduce smoking. A U.S. Surgeon General report last year said reducing smoking among pregnant women and women of reproductive age "remains a critical component of public health efforts to improve maternal and child health." The researchers say the taxes could have negative consequences for pregnant smokers who don't quit and can't afford to buy necessities because of high cigarette prices — a possibility the study didn't examine. The study lacked information on all variables that could affect infant mortality. Still, they say their study adds to evidence for policymakers to consider in seeking ways to reduce infant deaths.